You Can't Feed THAT to My Baby! You Can’t Feed THAT to My Baby! We're all familiar with this scene: Lookout! Here comes (insert name) armed with a cookie, a bowl of ice cream, a glass of soda, or some other food item that you just don't want your baby to consume. You hug your little one a bit tighter, preparing for the battle that is about to ensue. Sigh. Once your baby turns 3 months old, this difficult situation becomes quite common: well-intentioned people trying to stuff various and sundry food items into your child's mouth are suddenly everywhere. Many parents have been faced with the daunting task of gently, nicely and kindly telling someone "No, you cannot feed little Sally THAT!". So, how to deal? You don't want to insult well-meaning people, but you certainly don't want your kid comnsuming inappropriate foods. Sam just had his <meal> and if his tummy gets too full he may vomit. We are waiting to introduce <food> until Janie has her next appointment with the doctor. It is important that baby just have milk at this age so that his/her growth is not harmed. We tried to give Henry a burger once before and he threw up all over my new shirt. French fries (cookies, ice cream sandwiches etc.) are one of the most common foods that babies can choke on, do you know the Heimlich? If you feed Lilly that while I am gone, I will have to look for another person to watch her. Benjamin's doctor said absolutely no solid food, not even ice cream, until he is older. Using the above excuses may feel "wrong" or make you uncomfortable—I know from experience. 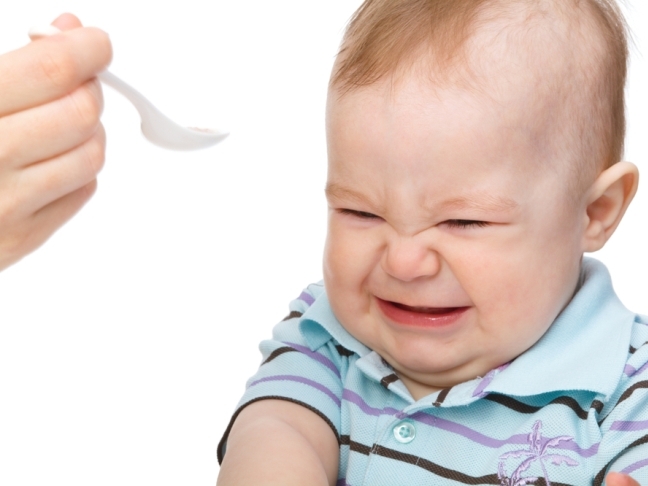 It can be very awkward to deal with someone (especially a loved one) who just cannot take no for an answer when it comes to feeding your baby foods that are not suitable. But always keep in mind that you are the parent, you know what's right for your child, and you may have to reiterate this fact forcefully and strongly. Have you ever encountered this situation? What have you done about it? Looking for information on wholesome baby food? Get more from healthy baby food guru, Maggie Meade, in The Wholesome Baby Food Guide. “She’ll Never Learn to Walk” and Other Annoying Myths I’ve Heard about BabywearingNewborns Not Covered Under Obamacare?! What’s The Real Deal? 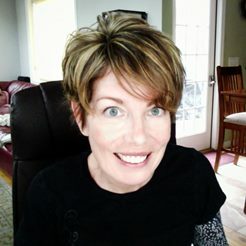 Maggie Meade is the author of The Wholesome Baby Food Guide: Over 150 Easy, Delicious, and Healthy Recipes from Purees to Solids and the founder of Wholesome Baby Food. She believes in providing children with fresh, natural food choices doesn't mean slaving away in the kitchen all day. She lives with her family in New Hampshire.